Senior care can be stressful to navigate on its own, and caregivers take on many important roles in the lives of those who need their help. For long-distance caregivers, the additional factor of distance, time and logistics can have a larger impact on how caregivers can provide help for their elderly loved ones. Caregivers often balance the demand of multiple households, work, and daily life as a whole. Fortunately, there are strategies and tips that caregivers can use to help. Unicity Eldercare understands the role of caregiver and how difficult it can be to navigate on your own. We have compiled our tips to help take care of your loved one, as well as provide useful information on assisting and supporting those you care for at a distance. 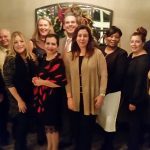 Additionally, we share a personal story from our Director of Geriatric Care Management, Rita Grandelis, who explains how Unicity’s team of Geriatric Care Managers work together to provide seniors and their families quality care and peace of mind. 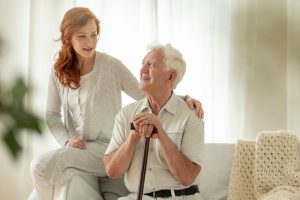 Choosing A Primary Caregiver: Determining who is the main caregiver in the first place can be a trial if siblings or other immediate family cannot agree on individual roles, especially if time is of the essence. If you are the primary caregiver, then you’ll be the one faced with much of the research and decision-making, regardless of how far away you live. Managing Your Own Family And Career: A large proportion of long-distance caregivers are supporting families of their own while also caring for aging parents at a distance. As such, employed caregivers often are required to make significant adjustments to their work in order to accommodate their caregiving responsibilities — such as factoring in days they will have to take off from work, as well as rearranging work and activity schedules. Understand The Costs Associated With Providing Long-Distance Care: According to studies, long-distance caregivers spend an average of $400 per month on travel and out-of-pocket expenses. Thus, it is important to set aside time and save money for unexpected visits to help your loved one. 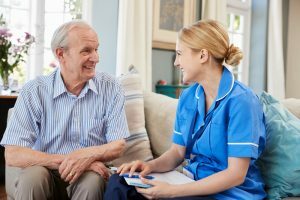 Finding Resources From A Distance In Order To Assess Care Needs: It can be difficult to determine what needs your loved ones might have, especially if they are unable or unwilling to communicate it to you. Researching resources and senior care local to your loved one can be one of the biggest challenges. Rita Grandelis is our Director of Geriatric Care Management at Unicity Eldercare. Rita has 23 years experience as a Licensed Clinical Social Worker, the last 12 years specializing in the geriatric field. As a certified care manager, Rita’s vast knowledge of home care, facility care, and community resources is an asset to our clients and their families. In the video below, Rita shares her experiences about what working at Unicity Eldercare means to her. Rita’s special story about one unique case is just one of the many examples of how Unicity’s geriatric care management team has made a huge difference in the lives of the clients we serve, as well as providing peace of mind for their families. If you are assuming the role of long-distance caregiver, it is important to learn as much as you can about your loved one’s illness, medicines, and resources that might be available. All of this information can help you anticipate the course of an illness and assist in healthcare management. Assess Your Loved One’s Care Needs: Many times, care needs can include a wide spectrum from simple daily tasks like laundry and other household chores to more complex factors like estate planning and liquidation or relocation. Create A Communication Plan: Open communication can make the subtle difference in knowing if your loved one’s needs are increasing or if alternative care is needed. Listen actively to what is shared with you by neighbors, medical care professionals, friends or the care receiver themselves. Keep a Library Of Important Documents Pertaining To Your Loved One’s Care: The library of essentials should include basic important documents like insurance cards and regularly taken medications as well as complex documentation like wills and financial information. Factor In Your Loved One’s Household Maintenance And Upkeep If They Are “Aging-In-Place”: Become aware of the need for repairs or accessibility updates that come along with aging-in-place. 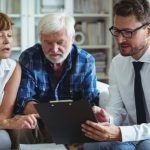 If household demands go beyond what your support system or a hired professional can complete in the home, prepare to help your loved one make a decision on downsizing or relocation. Do Research About Your Loved One’s Medical Conditions, Treatment Plans And Care Needs: Research can help you understand what is going on, anticipate the course of an illness, prevent crises, and assist in healthcare management. It can also make talking with the doctor easier. When you’re a long-distance adult child trying to make sure your parents get what they need, it may seem impossible to do it all. Caring for your elderly loved one from a distance will have limitations. Be realistic about the quality of care you want your loved one to receive and seek experts to fill in the gaps of your limitations. In many cases large tasks like senior relocation or downsizing is a better handled by knowledgeable experts who may be able to plan and organize a move from start to finish. If you find problems are increasing or activities of daily living are proving difficult, your parent will need some type of care. Now is the ideal time to be proactive to avoid future crises, which is especially important as a long-distance caregiver. 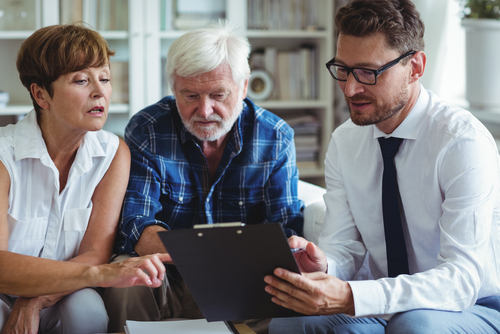 Involve your parent and other family members in the decision-making process, and get things in place that will help your parent have the best quality of life possible in order to help prevent further complications. If you are noticing multiple problems, schedule a geriatric care management assessment today. Medication Management– Medication errors are a common problem for seniors who take multiple medications and can cause an array of problems. Having someone setting up a pill box weekly or monthly, electronic medication reminder systems, and medication management by a home care company are all good options. There are many ways to simplify the regime. Meal Preparation– Meals on Wheels or other meal delivery service can help when your loved one is unable to cook for themselves. It’s a good idea to consider hiring a home caregiver to assist with grocery shopping and prepare meals, as well as provide companionship during meals and monitor nutrition. Personal Care: Do a comparative grooming check to see if your loved one is taking care of their personal hygiene and other needs. Poor hygiene can be a sign of physical difficulties or depression or even more serious issues such as dementia. Transportation– If your parent doesn’t drive and has difficulty getting to appointments, or running errands, there are a few options and the best choice may be a combination. Some communities have senior transportation available or some areas have public transportation which offer senior transportation or senior discounts. Additionally, many home care agencies will provide transportation. They also can assist with shopping, putting away groceries, preparing meals, hygiene assistance, light housekeeping and more. Changes In Mobility And Overall Health– If you have seen a major change, you may need to explore home health care. Hiring a nurse, and/or therapist to visit the home if there has been a significant change in health status is very important. A general assessment can help identify what is going on and any possible solutions to offset changes or support your parent safely. Memory Problems– If you notice a marked deficiency in your parents’ memory, it is vital to get a thorough evaluation from a memory clinic or specialist. Unless memory issues are being caused by a reversible issue, dementias like Alzheimer’s disease are progressive; so future planning is essential. Unicity Eldercare is an accredited homecare agency. We have become a reference in the healthcare community and a trusted partner to the most renowned hospitals, facilities, lawyers and financial institutions. Unicity Homecare is licensed as a Healthcare Service Firm by the New Jersey Division of Consumer Affairs (New Jersey Office of the Attorney General). We are bonded and fully insured. We are also a preferred provider of the Alzheimer’s Association of New Jersey through their Helpline. Unicity Eldercare is a member of the prestigious Aging Life Care Association. 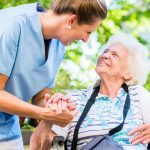 Our Geriatric Care Managers are either Registered Nurses or Licensed Social Workers, with extensive experience working with the elderly community. Taking a client centered approach, our Geriatric Care Managers assist in problem solving, planning and implementation of solutions. We assist our clients and their families in multiple ways, and we are available 24/7. Unicity’s caregivers are Certified Home Health Aides (CHHAs), Certified Nurses’ Aides (CNAs), Registered Nurses (RNs), and Licensed Practical Nurses (LPNs). Alzheimer’s and Dementia Care is our specialization at Unicity Eldercare. We know that it is essential that care be supervised and adjusted at each level of Alzheimer’s disease: the early stage, the middle stage and the late stage. Our Geriatric Care Managers make sure to guide you through the appropriate care alternatives during the progression of the disease. You can benefit from the expertise of our experienced Geriatric Care Managers if you are concerned about a loved one and don’t know what to do and where to turn. If you are considering a change regarding the living environment of a loved one, we can help. If you are caring for elderly parents long-distance, you want assurance that everything is going to be okay. Unicity Eldercare can provide the peace of mind you need. When the time comes to consider home care for your loved one, you may seek help from Unicity’s qualified home care professionals to help ease the burden. Unicity Eldercare’s mission is to help our clients stay in their familiar surroundings, remain independent and live an active, healthy, and happy life.